Mondays are The Lion King’s “dark” days, our one valuable day off each week. I spent my past Monday taking some wonderful kids to the zoo — but in my version of the zoo, they were the animals! 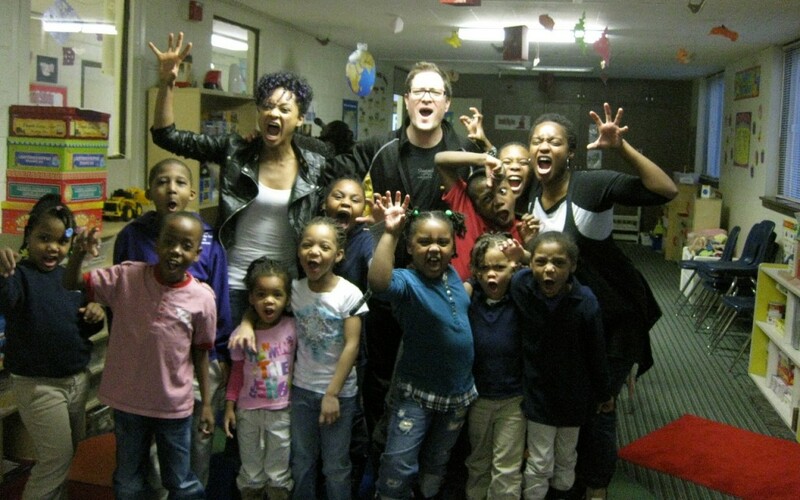 My castmate Rashada Dawan, who plays Shenzi, asked Syndee Winters (Nala) and myself to work with the kids at The AGAPE 24 Hour Child Development Center on some theater games. AGAPE is a 24-hour children’s care facility for those involved in forms of domestic violence, run by Pastor Diane Thibodeaux, who has been involved in helping victims of domestic violence since 1985. We had a BLAST! The kids were adorable, enthusiastic, and entertaining. They ranged in age from about 5 to 10 years old, and as Rashada introduced us and got them started, they were attentive and amazingly well-behaved. Our theme for the session was “Creating Characters.” Syndee led the kids through a fun improv where the kids physicalized the characters of a King and Queen, and a Prince and Princess. My game was called “A Day at the Zoo”, where the kids pretended to be their favorite animal, and then evolved that animal into a person. I actually did a week-long, more complex form of this game in my first year of Carnegie Mellon! The kids were so imaginative and eager, and they “got it” — they understood that the key to creating a character was to be very specific to the various details of the animal. What kinds of foods did their animal eat? What did they sound like? How did they move? Then, how would a human display these traits? We got plenty of high fives and hugs when were done, even from the older boys! I sang “Hakuna Matata” for them, and then we snapped a few pictures to commemorate the experience. I’ve taught acting to students of all ages, and not only is it gratifying to see kids enjoying the work, it makes me so appreciative to be able to do what I do for a living. I can’t thank Rashada enough for inviting me. It was truly a special way to spend a day off. 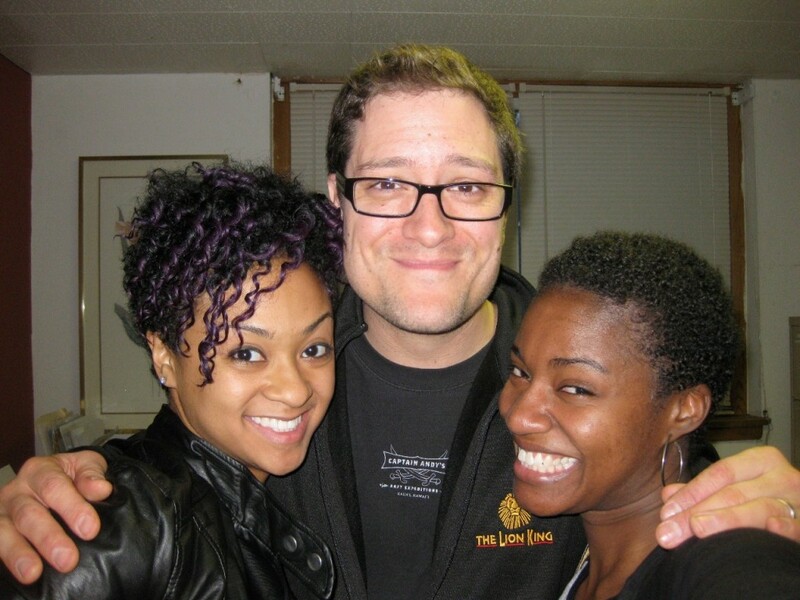 We love The Lion King even more now after seeing what the actors do when they aren’t on stage. This looks like everyone had a wonderful time and I’m sure you have touched the hearts of each and every one of these kids! I’m sure you made these kids’ day (or year)! What a great story. Thanks for posting these stories. It’s great to see what happens “Behind the Scenes” on your day off. Next post: Valentine’s Day with TWO guys, in Richmond, VA!